Terra Cotta Vineyards was established in 1995 as a result of touring wineries and vineyards in Ohio for several years. After searching for the right location for 3 ½ years, we built the winery and planted grapes. The winery opened September 1999. On a visit to Terra Cotta, you can sample the wines to find your favorite, and relax with a glass of wine on the back porch or inside tasting room. Cheese and crackers and Nosh plates are available to enjoy with the wines. Our view is gorgeous and you might even see an awesome sunset! Chef in the Vineyard Dinners are held monthly by reservation. The dinner is a 2 entrée multicourse dinner where the finale is a flaming dessert presentation! These dinners are a great way to celebrate a special event! It’s a unique food and wine experience! Dates for the dinners are on the Event page. Cookouts are held May through October and are perfect to enjoy with family and friends! We provide your choice of strip steak, marinated pork, or salmon and you are the chef that cooks it to perfection on our charcoal grills! The dinner includes a salad, baked potato, vegetable, bread and wine. Weather permitting these dinners are held outside but inside seating is available. Check the Event page for cookout dates and call for reservations! Whether you’re planning a visit to sample wines, or organizing a get together, Terra Cotta provides the perfect atmosphere! Private dinners and functions are available. 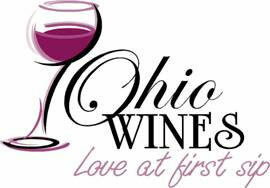 Our license permits Terra Cotta wines as the only alcohol on site per Ohio Liquor Control. We must enforce this regulation to protect our license and appreciate your cooperation! Chef Dinners by Chef Anthony Campbell are a great food and wine experience! The dinners include an appetizer, salad, potato/rice, 2 entrees, vegetable, bread and a scrumptious dessert! The menu is different each month; when making reservations let us know if there are any dietary restrictions or if there's something you don't eat. Dinners start at 7:00. Mar 15, Apr 12, May 17, June 28, July 19, Aug 16, Sept 20, Oct 18, Nov 15 and Dec 13. For reservations or additional details call us at 740 872-3791! Our hours are: Friday 12:00 to 6:00 and Saturday 11 - 6:00 through April. In May we will be open Thurs and Fri 12:00 to 7:00 and Saturday 11 - 7:00. During dinners and cookouts we are open longer. Thank you! Gift cards are available and can be used for wine, food events or any gift item. A great gift for that hard to buy person on your Christmas list! We were honored & surprised to receive the Best Rose' Director's Choice Award for our Chambourcin Rose'. The awards were held May 24th at the Statehouse. 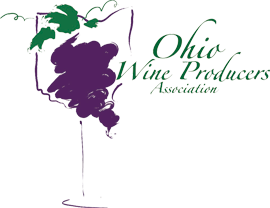 The Director selects a Best White, Best Red and Best Rose' from wines that have received the Ohio Quality Award or a Gold Medal in Ohio Competition. This is the 3rd Director's Choice Award Paul has received. Way to go Paul! When coming to Terra Cotta from Moose Eye Rd there is now a 3 way stop at Moose Eye and Zane Trace Rd. Our original directions indicated to turn onto Moose Eye Rd and go to the stop sign then turn right onto Rix Mills Rd. Now you will go to the SECOND stop sign once you turn onto Moose Eye then turn right onto Rix Mills Rd (no current Rix Mills Rd street sign but it's coming soon). Contact us if you are looking for clean used wine bottles - for free!